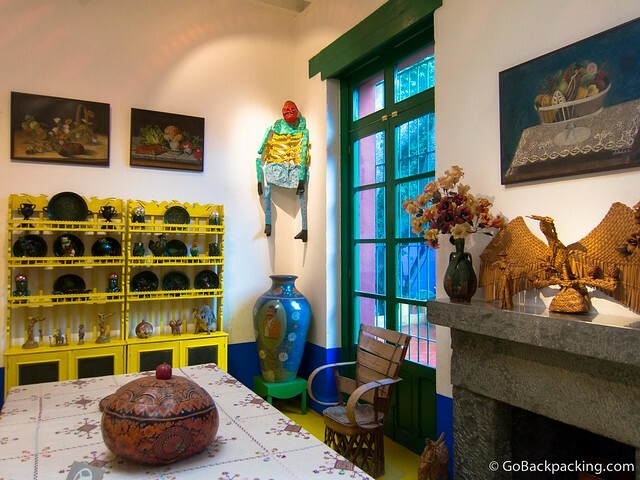 One of the most popular things to do in Mexico City is the Museo Frida Kahlo, housed in Casa Azul, the artist's former home and studio. Fully satiated after a gourmet lunch at Pujol, I took a taxi straight from the restaurant to the museum, hoping to squeeze in a visit before closing time. A short line extended from the entrance, under a tarp, but it was moving quickly. The cost of entry, including the ability to take photos, is $11.60. The first scene upon entering the house is a wide open courtyard. The interior of the walls is painted the same rich blue as the exterior. 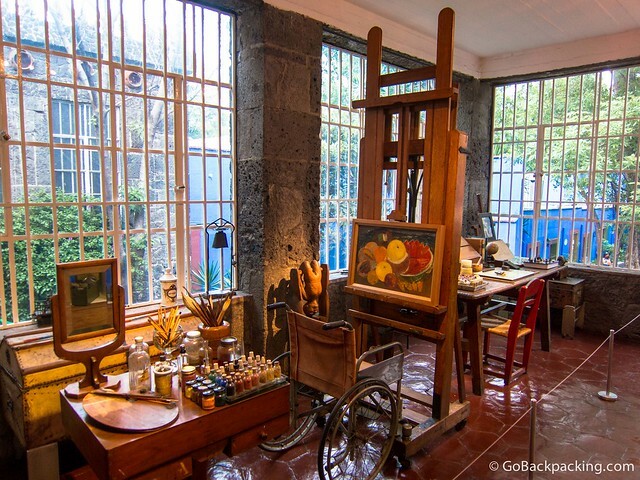 The first room is a gallery featuring a selection of Frida Kahlo's paintings. I was hoping to see my favorite, The Two Fridas, but it turns out that one is located at Mexico City's Museum of Modern Art. The paintings on display did do a good job of representing her style, and themes. 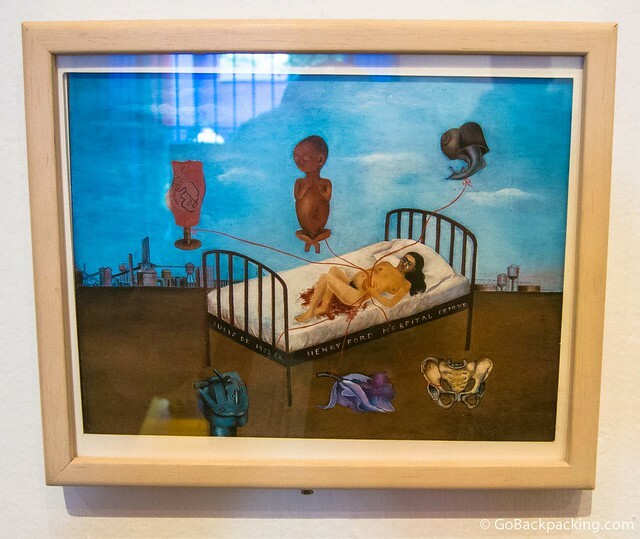 For those unfamiliar with Frida Kahlo, one of Mexico's best known artists, she lead a rather tragic life, as depicted in the 2002 movie Frida, starring Selma Hayek. As a teenager, she was involved in a traffic accident that left her dealing with related injuries her entire life. It was after the accident that she began to paint. Her painting drew heavily on her own life, including lots of self portraits, and depictions of miscarriages. She desperately wanted to have children, but she never carried a baby to term. In 1929, she married fellow painter Diego Rivera, but it was a tumultuous union. Kahlo was bisexual, and had affairs with both men and women. Rivera was known to have affairs with women as well. In 1953, Frida needed to have her right foot amputated. She died shortly thereafter on July 13, 1954 at the age of 47. 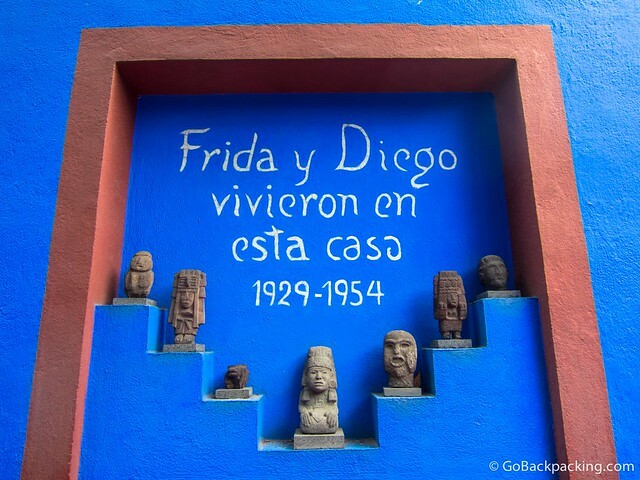 Diego Rivera donated the home, upon his death in 1957, in order to create a museum in recognition of Frida's life and work. 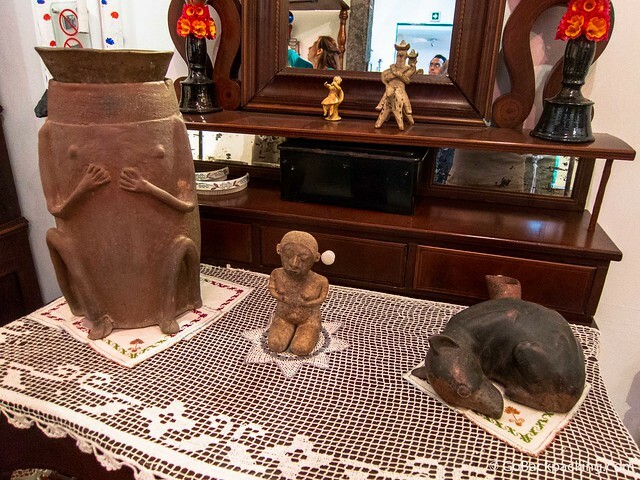 Leaving the rooms with her paintings, we enter the other parts of the house, including the dining room, kitchen, and her bedroom, where one can see the pre-Colombian urn which houses her ashes. From her bedroom, one exits down a staircase back into the courtyard. Ah, bummer. There’s a lot I still have left to do in Mexico City. Good to know! This is definitely going on my list for when we make it to Mexico City!